Now it's easy for individuals and groups to make their own buttons. Assembly is a snap. Just draw a picture or message on the white paper inserts included, or take a photo or print and cut it out to size, and snap it between the cover and the back. 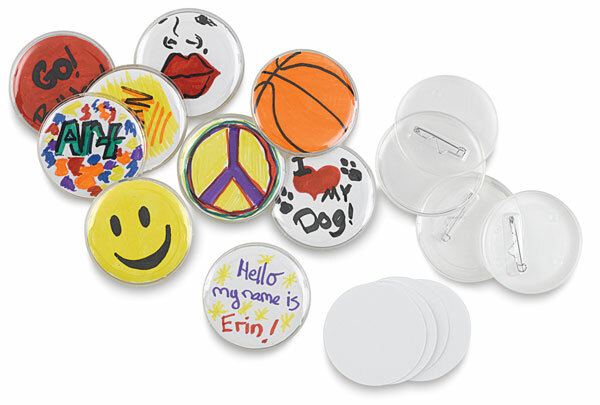 These durable 2¼" (57 mm) diameter plastic buttons can be used over and over for promotions, events, name tags, or just for fun. The Package of 12 includes button covers, backs, and paper inserts. The Package of 500 includes button covers and backs.